The Advanced Sphinx Search Pro is the most adaptive Magento 2 search engine! It provides customers with relevant search results in a split of a second. Stop your store search issues with our solution: no more empty results! Get more orders with our Extension and watch how your conversion rate grows! Advanced Sphinx Search Pro is fast enough to perform search and provide search results within a moment: the searching speed is over 500 queries/sec against 1,000,000 skus! At the same time our extension is smart enough to turn all your customers search queries into relevant results. Advanced Search solution allows your store users to receive correct search results for words, containing dashes or any other non-alphabetic symbols, - called Long tail search. Moreover, you may manage the order of products in the search results and set desired items higher, than other ones, using an attribute weight feature. Our extension also resolutely deals with the issue of the words useless in searching, like “a”, “and” etc. Such words will simply be removed from the search phrase! Advanced Sphinx Search Pro allows you to manage synonyms: built-in synonyms dictionary already contains 60370 items (for English language), and you are able to add additional ones of your own! The more convenient the search you use for your store, the more satisfied customers you get! Highly relevant search results in no time! Manage the search results order to sell more products! Searching by product categories, IDs, child products etc. Advanced Sphinx Search Pro suggests to your store customers user-friendly search logic. They will be able to search by the entire key phrase or by separate words. Search results received by shoppers are highly relevant! It's almost as if our extension reads your store customers’ thoughts! The more relevant the search results are, the more returned visitors you get! Let your customers feel cared for with Advanced Sphinx Search Pro! Advanced Sphinx Search Pro allows you to get results from multiple store entities! other content (policies, terms etc.). Give your customers in-depth search results and take them closer to their next purchase in your store! Advanced Sphinx Search Pro interface is quite clear and intuitive, so you can change any setting quickly and easily. Advanced Sphinx Search Pro is a fully featured and flexible solution! Make all the necessary settings with ease and comfort! pushing Out of Stock products to the end of search results list. Our solution lets you meet all your customers needs and gives them the most relevant search results ever! Advanced Sphinx Search Pro has an option to create separate search indexes for each type of store content. Or create your own unique search index! Advanced Sphinx Search Pro allows you to manage not only the positions of search indexes in the results, but also handle the order of different attributes! If you need some attributes to prevail over the others, just set a weight value from 1 to 10 to arrange their priorities in searching. For example, you want the search engine to search by Product Titles first. Therefore, assign the Title attribute Weight to 10 and enjoy your search results! Take control of your searching flows and provide your customers with highly relevant results! Regardless of key phrase form (singular or plural) your customers will get the most relevant results! Advanced Sphinx Search Pro allows you to relax and be confident that your store's search engine will not let you down! Get the most out of your store's search results and make your customers shopping experience smooth and refined! Advanced Sphinx Search Pro supports stemming option! This means our search engine will reduce (literally cut) the keyword entered to the search string to its base form and provide the results containing this root form of the word. For example, if a customer searches for ‘cats’, he/she gets the results containing ‘catlike’, ‘catty’ etc.) as based on the word of ‘cat’. The advantage of this feature is your customers will see the fullest list of results and most likely pick out some items! Advanced Sphinx Search Pro's backend interface allows you easily check if the engine is functioning right. Just click Check Status and you will get the checking results in a split second (feature available for External Sphinx Engine)! If your engine works fine, you will see the green check mark and detailed report right in the same window. Another useful feature is Wildcard search: if you enable this option, your store customers will be able to perform inquiries based on a character pattern, matching between the characters specified in a query and words in store content, that contain those character patterns. For example, if your customer enters ‘sweat*’, he/she gets the results, including all items, beginning with ‘sweat’. This feature also covers single and plural searches. Install Advanced Sphinx Search Pro and easily get more sales! 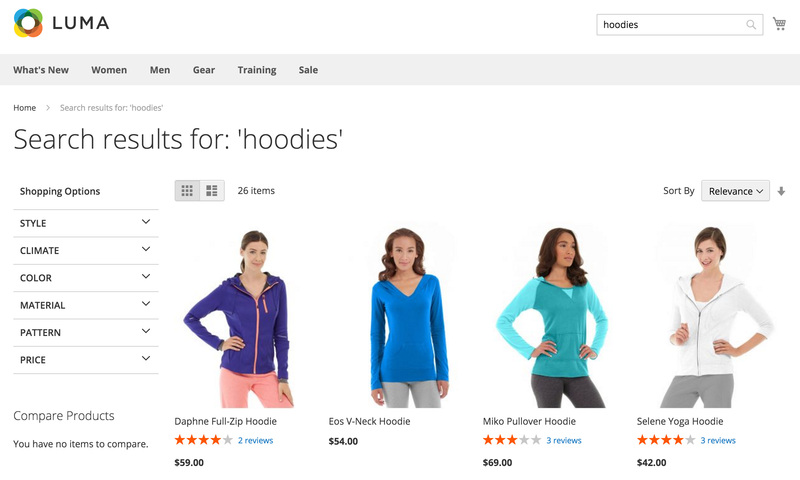 Magento 1: Excellent Product ! Magento 1: Simply the best ! Magento 1: Thank you and keep up the great work! Magento 1: Greatly improves the search function. 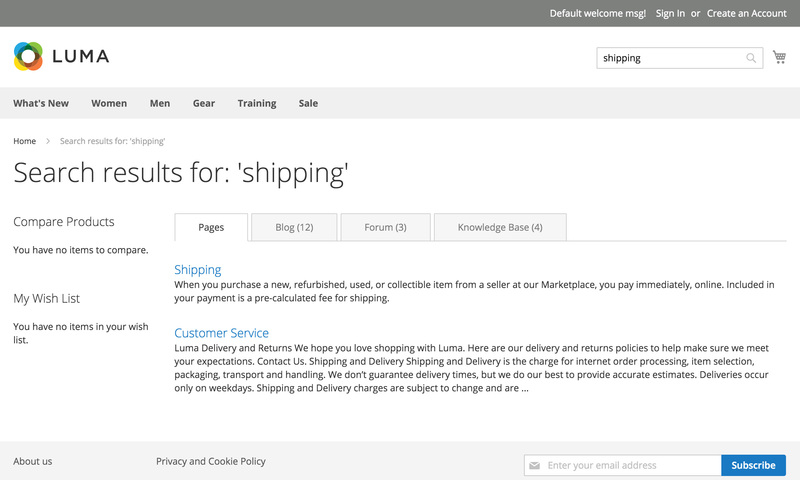 Magento 1: Must-have in any webstore. Magento 1: So far so good! !